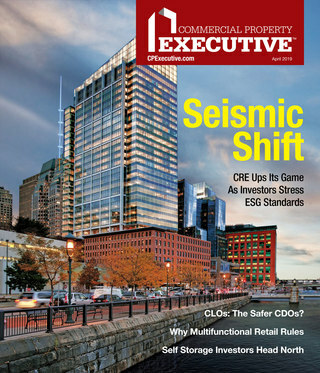 Multifamily Market is Enjoying the Best of Times. Here’s Why. Fannie Mae's Jeffery Hayward discussed apartment vacancy rates at the MBA conference. San Diego—The multifamily market is “in the middle of some of the best times this business is going to experience,” commented the head of Fannie Mae’s multifamily division. Jeffery Hayward, executive vice president and head of the Multifamily Mortgage Business at Fannie Mae, made the remarks during a meeting with reporters this week at the Mortgage Bankers Association’s (MBA) Commercial Real Estate Finance/Multifamily Housing Convention & Expo. Hayward said that apartment vacancy rates are now at all-time lows. At the same time, demographic forces are sustaining the increase in the inflow into the market of 24 to 34-year olds at their peak renting age. As a result, current vacancy rates may continue to experience downward pressure in the near future. Fannie Mae announced that it financed $28.9 billion in multifamily loans in 2014, compared to $28.8 billion in financing provided to the sector in 2013. Altogether, 446,000 multifamily units were financed last year by the agency. About 99 percent of these loans were securitized through Fannie Mae’s MBS execution. “I look forward to working with our partners in 2015 to remain the leading source of financing and securitization for quality rental housing in the U.S., while balancing risk and return—in every market, for every income level, every day,” said Hayward. Hayward said that fundamentals are in place for Fannie Mae to see healthy financing activity in 2015. Fannie Mae’s regulator the Federal Housing Finance Agency has imposed a footprint limit of $30 billion on Fannie Mae’s multifamily financing. According to Hayward, this financing cap will not be changing in 2015. 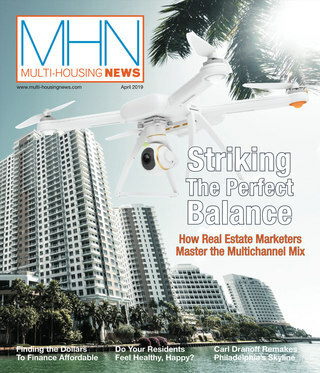 Fannie Mae and Freddie Mac account for about 30 percent of the multifamily financing market. Freddie Mac, meanwhile, executed $28.3 billion in loan purchase and bond guarantee volume for its multifamily business in 2014, up 10 percent from $25.9 billion the previous year. Walker & Dunlop LLC, Wells Fargo Multifamily Capital, Berkadia Commercial Mortgage LLC, CBRE Multifamily Capital Inc. and PNC Real Estate ranked among Fannie Mae’s top DUS producers in 2014.